For The Tennessean, July 18, 1993. W. C. Handy, legendary musician, arranger and bandleader, slept on a bench at the depot in Tutwiler, Miss., waiting for a train that was nine hours late. Late in the night, Handy awoke to see a ragged man beside him, his clothes in tatters, toes sticking out of his shoes. The man was deftly sliding a knife across the strings of a guitar as he sang about "going where the south-ern cross the dog." Handy described it as "the weirdest music I had ever heard." After asking about the lyric, Handy was told that the Yazoo and Mississippi Valley Railroad, known locally as "the Yellow Dog," crossed the Southern Railroad at right angles in Moorhead. But the event, the first documented account of what we now call "the blues," was momentous to Handy, who soon became possessed with the new music and was later credited with being its "father" after introducing it to the world. The blues legacy is felt profoundly throughout American music, but if you want to go where it all began, you've got to head south of Memphis, deep into the Mississippi Delta, on Highway 61. Exiting the Memphis loop onto 61, the familiar blanket of Tennessee greenery disappears. 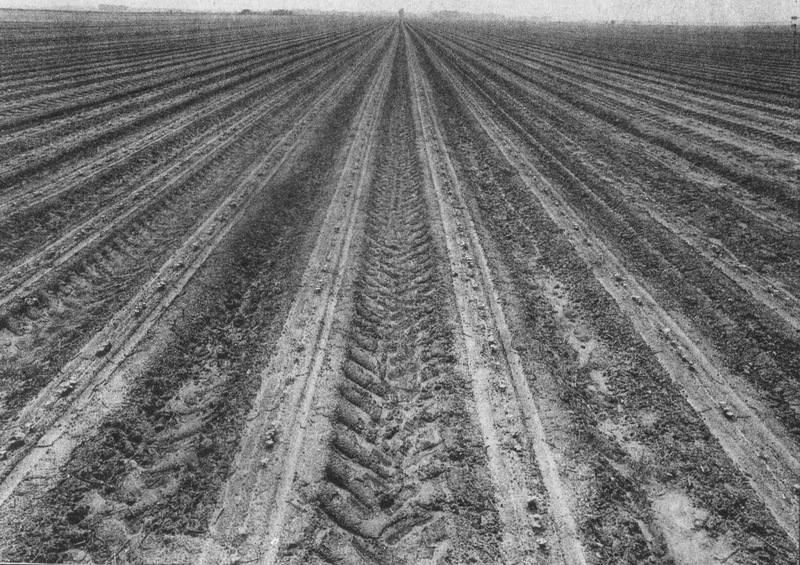 The vast, arid soil of the Mississippi Delta fans out all around. You feel as if you've stepped back in time. For an intense, four-day excursion from Nashville, leave early on a Thursday, arriving in Memphis before noon. You may want to tour the Memphis Music and Blues Museum (97 S. Second Street) to wet your blues whistle. Memphis is a treasure trove of blues history and really deserves a weekend of its own to fully appreciate it. Head south on Highway 61, the fabled route of Bob Dylan's Highway 61 Revisited. Here you'll begin to see a plethora of sites associated with blues performers who, from the turn of the century to the 1940s, laid the groundwork for rock 'n' roll. The unmarked grave of Memphis Minnie, one of the first female blues guitarist/singers, is at the New Hope Cemetery in Walls. Clack's store in nearby Lake Cormorant was where first-generation bluesman Son House recorded his field sessions for the Library of Congress in 1941. Fans of Robert Johnson, surely the greatest Delta guitarist, should stop in Robinsonville to view the Abbay and Leatherman plantation where he spent time as a youth, learning music by playing a guitar string nailed to a fencepost. But the contributions of Johnson, whose death at 27 in 1938 cut short his legacy, live today in contemporary rock music. From the Rolling Stones' recording of Johnson's Love in Vain in the mid-60s to several cuts on Eric Clapton's latest album, the Grammy-winning Unplugged, his influence continues to grow. Deeper into Tunica county past Lula, make a right onto Highway 49, and cross the Mississippi river into Helena, Ark. Sonny Boy Williamson, Johnny Shines, Robert Nighthawk, Roosevelt Sykes, and many other '30s-era bluesmen are closely associated with this town. Stop by KFFA radio (1360 Radio Drive), originator of the now-famous King Biscuit radio show which launched Sonny Boy William-son, Robert Jr. Lockwood and Little Walter to fame. 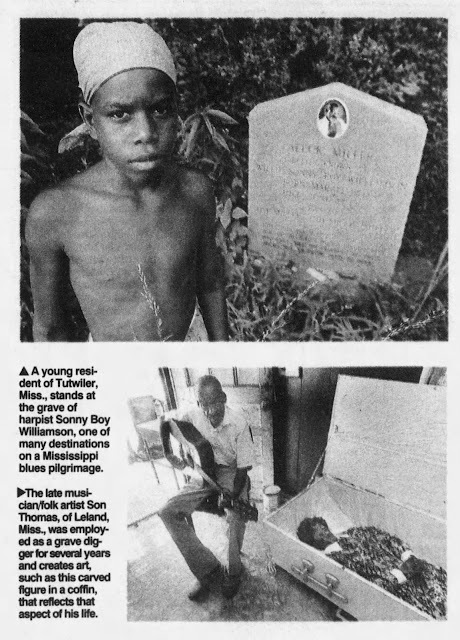 The local blues society is creating a museum at the boarding house where Sonny Boy lived — and died — at 4271/2 Elm St. Nighthawk's final resting place is in Magnolia cemetery. Delta harmonica legend Frank Frost, featured in the movie Cross-roads, spends time in Helena, occasionally at Eddie's diner (corner of Missouri and Walnut). The Riverside was the site of the black hospital in Clarksdale until the 1940s. In 1937, Bessie Smith was in a car accident outside Clarksdale and, seriously injured, was admitted to the hospital. For $35 you can stay in the very room where she died. Mrs. Z.L. Hill has run the hotel since she opened it in the early forties. It's now mostly filled with male borders (she takes no women — says it would "cause trouble"), but she keeps two rooms open for guests, including Bessie's. She'll spend a long afternoon with you telling about when she cooked for Sonny Boy Williamson when he re-turned home late from gigs, or when she decked out Ike Turner's band with new ties before they went to cut Rocket 88 in Memphis. For a reservation, call 601-6249163. On Friday morning, drive down Sunflower Avenue to the Stack-house/Delta Record Mart (232 Sun-flower). Owner Jim O'Neal is the best source of information on the Delta and its musicians to be found. For $7.50 (or $4.00 with another purchase) it's worth your while to buy his Delta Blues Map kit containing complete info on all the Delta sites. Order for $7.50 from Stack-house/Delta Record Mart, 232 Sun-flower Ave., Clarksdale, Miss. 38614. From there, drive over to the Carnegie Public Library and visit the Delta Blues Museum with its spare, but enticing, exhibits and helpful staff. Other Clarksdale sites include the homes of W.C. Handy and Ike Turner, Wade Walton's Barber shop and the various juke joints on Fourth Street. All of these and more are covered in the map kit. Before leaving Clarksdale, go the eight miles out of town on Oakhurst Avenue to the famous Stovall plantation to see the ruins of Muddy Waters' cabin. Waters, the link that carried the blues from the Delta into the electric age, ran a small juke joint and developed his blues at Stovall before leaving for fame and fortune in Chicago. It's to be moved soon to the Delta Blues museum, so catch it quick. Head south from Clarksdale on Highway 49, stopping briefly in Tutwiler to see the marker commemorating W.C. Handy's "discovery" of the blues. The depot is gone, but the tracks and foundation remain. Below Tutwiler, two miles off Highway 49W, you'll find the grave of harmonica great Sonny Boy Williamson in a grove of overgrown honeysuckle behind an abandoned church. The tombstone, elaborate compared to most bluesmen (who usually don't get one), has a photo-graph inset and tributes such as rusting harmonicas strewn about. For directions, consult the Jazz and Blues Lovers Guide to the U.S.
Continue south on 49W past Parchman pentitentiary, once home to Sonny Boy Williamson, Son House, and Bukka White, who immortalized it in Parchman Farm. It's not, however, recommended as a vacation destination, so keep on driving to Highway 8 at Ruleville. Turn right onto Highway 8 to-ward Cleveland and about halfway down on the right (behind Dockery gas station) is Dockery Farms, home of Charley Patton. Many con-tend that the blues was actually born on this farm in the late 19th century. Patton, the earliest "star" of the blues, learned the music here from an older man named Henry Sloan. Dozens of early bluesmen, including Howling Wolf, Tommy Johnson and Son House went to Dockery to learn from Patton. Turn back south on Highway 61 at Cleveland and head to Greenville for the night, where you can find some of the best living blues in the Delta. Watch for posted bills as live performances are, unfortunately, sporadic and unpredictable. In and around Nelson street is where most of the action is found. Check in at Perry's Flowing Fountain (816 Nelson St.) for tips on entertainment, cold drinks, and good company. Nelson Street and other similar Delta locales where juke joints are found may seem forbidding on the outside, and should be approached with common sense, but most are completely safe as long you're just looking for good music and good times. A word of caution: Never give anyone a ride for any reason, leave the harder vices alone, and if you're a woman, don't go by your-self. You'll find most people will go out of their way to be helpful. A surprising number of musicians live in the Greenville area and with a little footwork, you can meet the local legends. If you want a private performance, expect to pay a little in return since many musicians make their meager livings only through their music. Watch for Willie Foster, Boogaloo Ames, Shubby Holmes, Mamie "Galore" Davis, John Horton and the Special Occasion band, Eugene Powell, T-Model Ford and James "Son" Thomas. 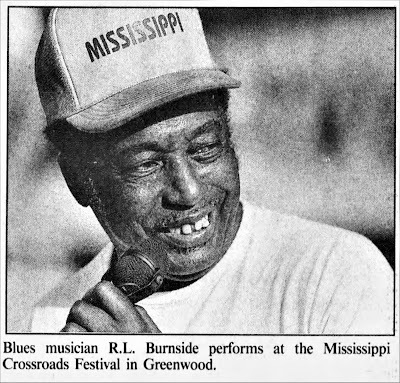 Indianola, the next town heading east, is the home of blues legend B.B. King. The town's favorite son has a street and park named after him, and you can find his hand and foot prints in the concrete at 2nd and Church. Also on Church is the Keyhole Inn, one of the jumpingest jukes in the Delta. Next stop, Moorhead, where "the Southern cross the dog." Like its sister location in Tutwiler, a plaque marks the spot. Spend the rest of your Saturday in and around Greenwood exploring the legend of Robert Johnson. To successfully feel your way through this greatest of blues mysteries, arm yourself with a rudimentary knowledge of the man (gleaned through any number of books), good notes from the film The Search for Robert Johnson by John Hammond (available for sale or rent from Tower Video), and a good cassette of songs by the master himself. Johnson, a hard man to pin down in life and in death, has at least three reputed burial sites. Although the blues is not the same driving force it was in the Delta prior to World War II, it's still a living, viable art form heard and felt in the sun-bleached cotton fields during the day and in the sweat-soaked juke joints at night. With a little patience and perseverance, the nuances of this often overlooked land and its music can be understood and appreciated. For your reading and listening pleasure, here are some recommendations to help you get acquainted with the blues. Choice books include: • Deep Blues, Robert Palmer. • The Jazz and Blues Lovers Guide to the U.S., Christiane Bird. • Searching for Robert John-son, Peter Guralnick. • Bluesland: Portraits of 12 Major American Blues Masters, Pete Welding and Toby Byron. • The Land Where Blues Began, Alan Lomax. • Juke Joint, Birney Imes. • Blues Fell This Morning, Paul Oliver. • Blues Off the Record, Paul Oliver. • Big Road Blues, David Evans. Musts-haves for your library of blues recordings include: • Deep Blues: Original Motion Picture Soundtrack, Atlantic. • Blues Masters, Vol. 8: Mississippi Delta Blues, Rhino. • Robert Johnson: The Complete Recordings, Columbia. • The Slide Guitar: Bottles, Knives and Steel, Columbia. • Blues in the Mississippi Night, Rykodisc. • Son House: Father of the Delta Blues, Columbia. • Charley Patton: Founder of the Delta Blues, YaZoo. 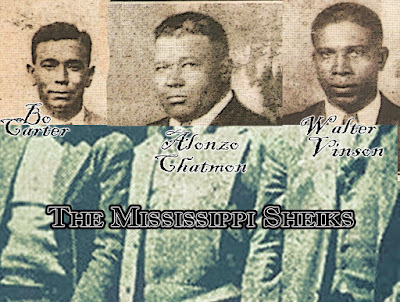 • Masters of the Delta Blues: Friends of Charley Patton, YaZ-oo. • Muddy Waters: The Com-plete Plantation Recordings, Chess. • Muddy Waters: Sings Big Bill Broonzy/Folk Singer, Chess. • The Roots of Robert John-son, YaZoo. • Big Joe Williams, Classic Delta Blues. And, if you'd like to see and hear, there are videos: • Search for Robert Johnson, with John Hammond. • Crossroads. • Masters of the Country Blues: Son House/Bukka White. • The Glues, Various Artists: VidJazz 13.